I am thrilled to welcome another great blogger pal to damppebbles today and it’s the lovely Lorraine Rugman from the fabulous The Book Review Cafe. I’ve been following Lorraine’s blog for quite a while now and it’s easily one of my favourites. Nothing, and I mean nothing could have prepared me for Block 46 by Johana Gustawsson, if you are looking for a unique, nail-biting and gripping tale look no further than this book, it’s going to sound cliched but it literally left me speechless (not an easy task let me tell you!). Now I’m sure it won’t come as a big surprise to many of you but I just happen to be a huge fan of Robert Bryndza’s and the Erika Foster series, so when I realised Cold Blood was available on NetGalley I dropped everything to start reading it and I mean everything, even the current book I was reading, so apologies to Harlan Coben, but a sacrifice had to be made! Oh my god I’m so glad I did, Cold Blood is one twisted tale, it’s gruesome, it’s dark, all the things I love a crime thriller to be and more. A must read crime series. Oh my god I absolutely loved The Fourth Monkey by J. D. Barker, what a deliciously dark and utterly gripping novel this one turned out to be. I’m the first to admit you can’t beat a good serial killer in a crime thriller (hmmm I’m not sure what a psychologist would make of that) but believe me when I say they don’t come more twisted than The Fourth Money (or 4MK as they are known) but it certainly made for a brilliant read. Masterfully written, fast-paced thriller this novel made for a riveting read. Fabulous choices, Lorraine. Thank you so much for joining me today. I have read both Block 46 and The Fourth Monkey, both very dark reads but in different ways. And my apologies to Robert Bryndza for being so far behind in the Detective Erika Foster series (and I call myself a crime fan, pah!). 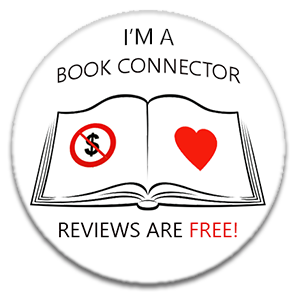 My name is Lorraine and I love books and coffee so there was only one thing to call my blog, it had to be the book review café. I love reading and always have a book or my kindle in my hand, and more often than not a cup of good coffee. I love reading and reviewing Crime and psychological thrillers. I can’t believe I’ve still not read The Fourth Monkey. Bad blogger. Haha! I’ve never ever won a GRs giveaway, I think they’re rigged 🤣 And I just received a phone call and was told to inform you that the universe is in full support of you reading this one! Oh yes, a speed dial connection 😈 so you better be nice to me!